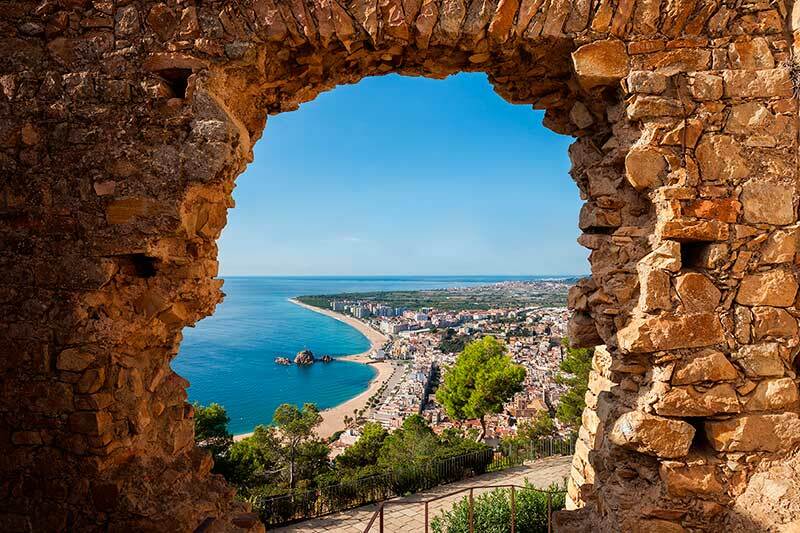 Blanes is called the Gateway to the Costa Brava as it is the most Southern town of the Costa Brava, which starts here and ends at the border with France. Blanes is divided in two by a large rock in the sea called “Sa Palomera”. South of the rock you’ll find the “Els Pins” area which is the more tourist district and has mostly smooth and long sandy beaches all the way to Barcelona. North of it you’ll find the type of cliffs and rocks that give Costa Brava its name. Costa Brava literally means “Rough or wild coast”. These rock formations form the beautiful creeks that make our coast famous with its sandy bays with cristaline waters and surrounded by pine trees. Blanes is conveniently located as it is easily reachable from both Barcelona (1h drive) and Girona (40min drive). Blanes is a popular seaside town for Catalan people, and is less touristy than its neighbouring Lloret de Mar. Many Catalans have their weekend home here, so you will find a lot of locals and nice restaurants around town. The town has a relaxed atmosphere without the excesses of teenage favourite Lloret de Mar. It is a family-friendly town with enough offer for young adults as well, which makes it a great holiday spot for families. You can combine cultural visits with beachside relaxation. Unlike other Costa Brava beach resorts, Blanes actually still has an active fishing fleet and is known for its gambas (shrimps). Its fish auction in the early hours is one of the most important in the region. Between the Sa Palomera rock and the harbour lies Blanes’ old town which is home to many small boutiques, boulevard, restaurants and tapas bars. Just one street away from the beach is a daily fresh fruit and vegetable market, open every morning. The boulevard houses a weekly market on every Monday morning. We live here ourselves and know all of the good restaurants and hotspots, which we tell you all about in our personal booklet which you will find inside your villa. We’ll guide you to avoid tourist traps and to mingle in as local! This beautiful botanical garden is unique in Europe as it is home to 3000 exotic species. 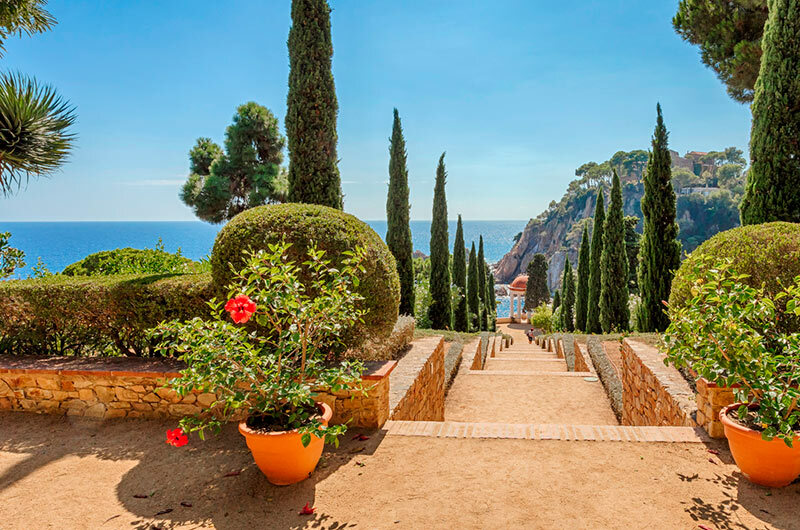 However the most special part is its location, with a walking path that looms over one of the most beautiful and spectacular views of the Costa Brava. A photo at the Tempel of Linné is a must. The views are breath taking. This is a tropical botanical garden designed in 1954 and is known for its tropical species that have adapted to the Mediterranean environment. 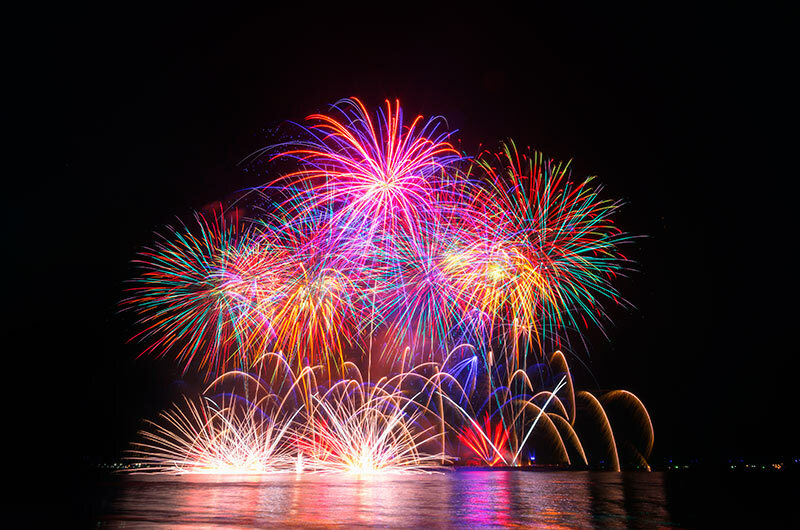 Every year, at the end of July, Blanes holds the prestigious international firework championship, with participants and visitors from all over the world. During 5 nights, every night from 22.30h-23.00h, you can enjoy this stunning show. Sit at the beach and watch the sky light up with light and colour! Note that Blanes closes its center at 19h for cars, so be there early to park and spend the evening. There are kids attractions, ice cream parlors, music,etc. on the boulevard. Puerta de entrada a la Costa Brava. Speciale aanbieding: 75€ korting als u in februari boekt! Speciale aanbieding: 75€ korting op uw volgende vakantie bij ons! Find the Villa that's perfect for you.